Adapted from Anna Deavere Smith’s award-winning play, the HBO Films presentation of NOTES FROM THE FIELD dramatizes accounts of students, parents, teachers and administrators caught in America’s school-to-prison pipeline, which pushes underprivileged, minority youth out of the classroom and into incarceration. Enlightening and empathetic, the film tackles questions of race and class through compelling first-person stories, drawing on the accounts of well-known figures like Rep. John Lewis, NAACP Legal Defense Fund President Sherrilyn Ifill, and activist Bree Newsome, as well as with everyday people struggling in a broken system. Culled from hours of interviews conducted by Smith with more than 250 people across the country, NOTES FROM THE FIELD showcases her extraordinary gift for transforming herself into diverse characters as she recreates each person’s speech patterns, movements and emotions. Filmed in front of a live audience and intercut with haunting video footage and photographs, NOTES FROM THE FIELD features accompaniment by jazz bassist Marcus Shelby. 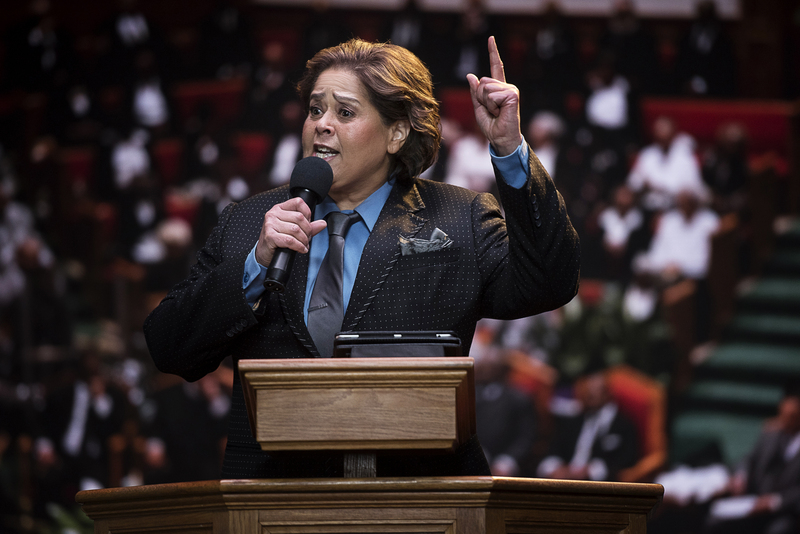 A Playtone Production in association with Jonathan Demme; executive produced by Gary Goetzman and Anna Deavere Smith; conceived and written by Anna Deavere Smith; directed by Kristi Zea; produced by Frank Garritano, Emily Cohen, and Steven Shareshian. To find out how to bring the film to your community, please contact screenings@annadeaveresmithpipeline.org.